On the night of February 20, 1944, a B-24 Liberator, (Ser. No. 42-7077), from Westover Field in Chicopee, was passing over central Massachusetts on a training flight when one of the four engines caught fire. The pilot gave the crew the option of bailing out, and seven of the nine member crew did so. 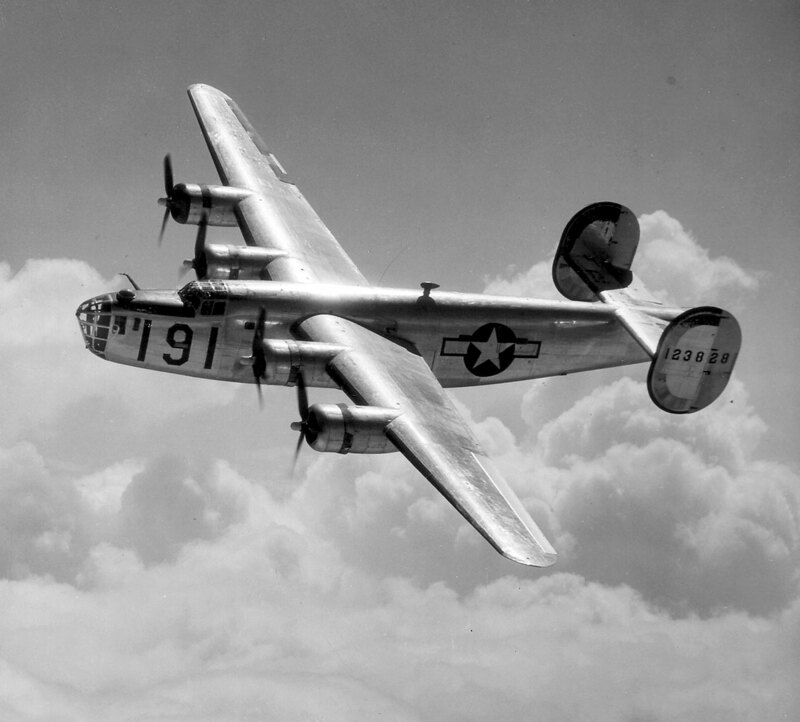 The rest remained with the pilot aboard the aircraft, who was able to make a successful emergency landing back at Westover. Of the men who parachuted, two landed in the town of Brimfield, one in Palmer, and the rest came down in the Turkey Hill section of Belchertown. All landed safely.